25 days of Christmas – Days 1 and 2 – It Works For Bobbi! 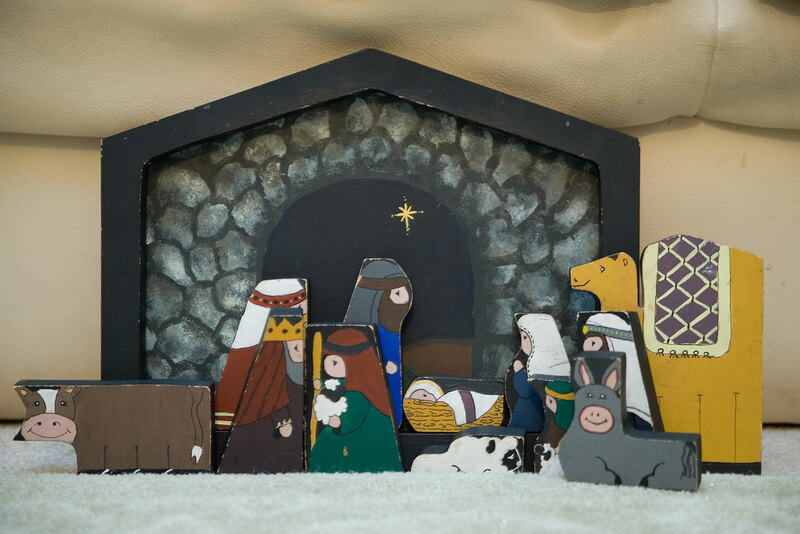 Published on December 2, 2008 August 9, 2016 by Bobbi-Jo G.
How are you doing with your own Christmas traditions? 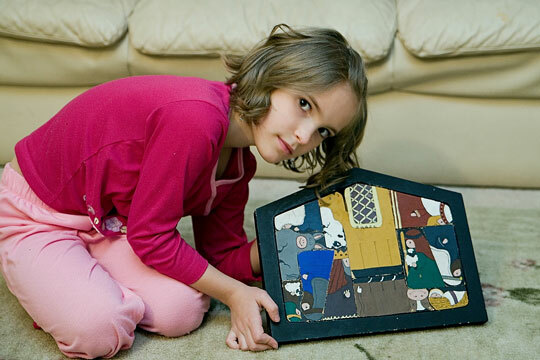 Have you started doing something special for each day of December? I have and I plan to keep on keepin’ on! I want to remind everyone that this is not meant to be an added burden on this already busy time of year. Just something simple will make a huge difference! For example, today (our second day) on our menu we had pancakes for breakfast. 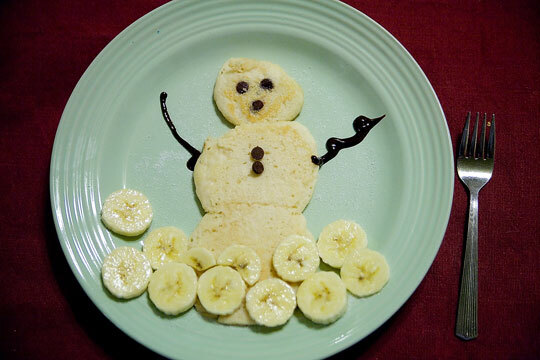 Instead of regular pancakes, I made SNOWMAN pancakes. I know you’ve probably done this before. Why can’t THIS be the special thing we do today? 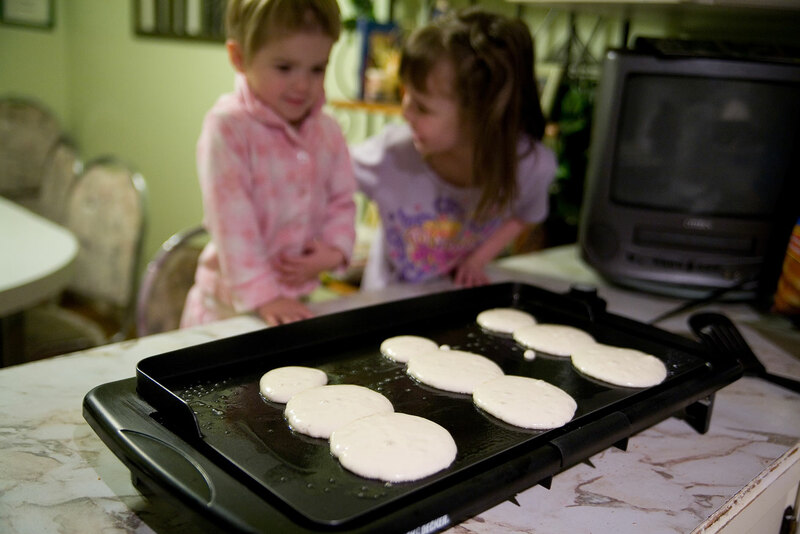 The kids LOVE them, and the didn’t take much extra time out of my day – I was making pancakes, anyway! To make them even more fun, I added some bananas for banks of snow (it’s a stretch, I know) and some sugar sprinkled around for ice crystals, and then added some chocolate arms. It was a hit! 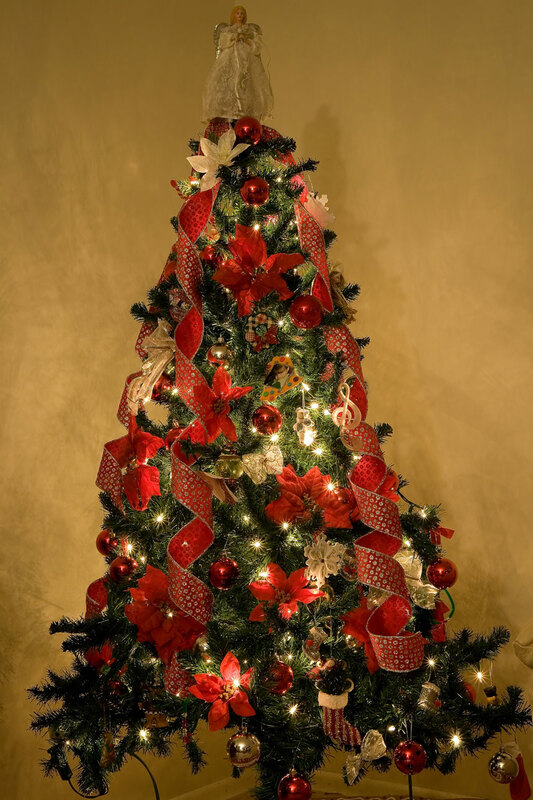 Yesterday, for Family Home Evening, we set up our Christmas tree and other Christmas decorations. 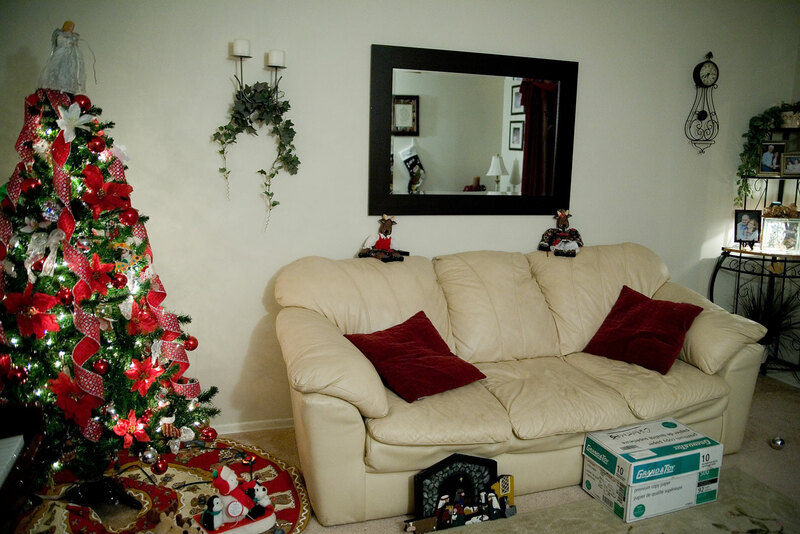 This tree was rescued from a 10 cent sale where no one even wanted to pay a dime for it! We were newly married and needed a tree, and thought “What the heck!” It’s small and kind of scary looking, but with a little tender love and care, it’s just fine! I know you’ll be so proud of me when I tell you that I even let the four kiddos hang the decorations on the tree. I only made a couple of minor adjustments, hung the ribbon, and called it done! Our livingroom is small, anyway, so a small tree is perfect! 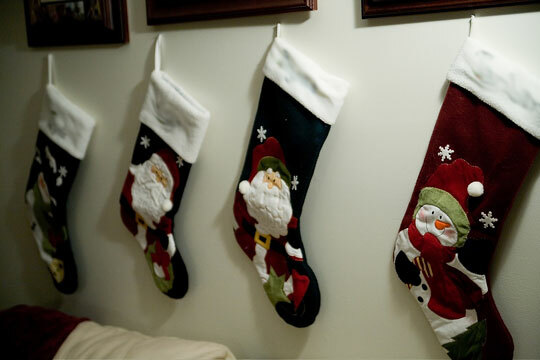 Decorating would never be complete without the girls’ stockings hung in a row 🙂 I stitched each of their names onto the white part (smudged out in this picture). I just adore these cute stockings! 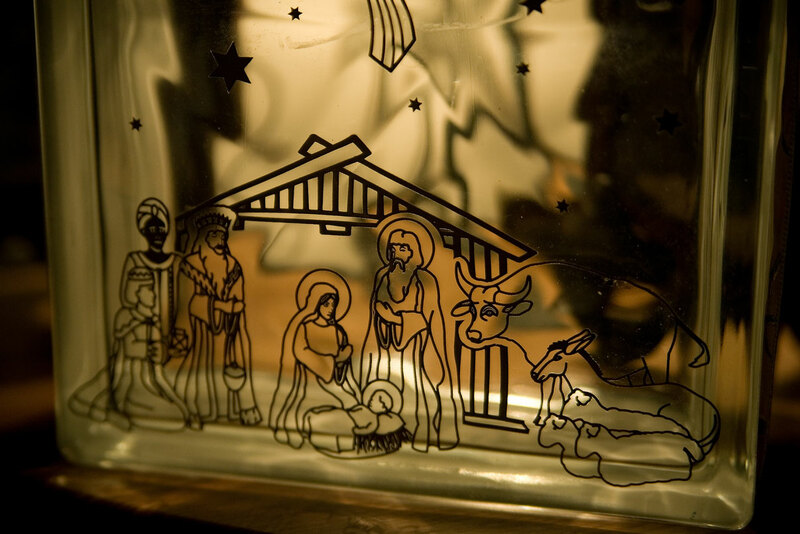 One of my favorite decorations is this awesome glass block nativity made by my sister, T.
I’d love to see what you are doing for your 25 days of Christmas, or just your Christmas decorations! Leave a link! 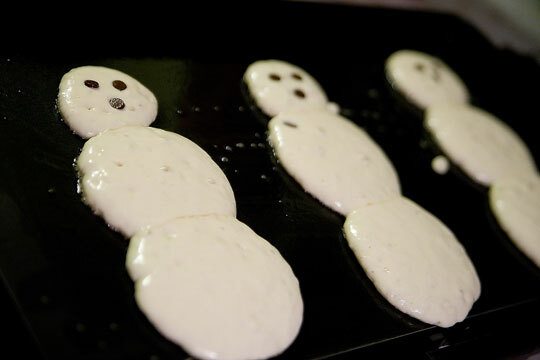 I love the snowman pancake idea. I can do taht and its so easy. I can kill two birds with one stone, christmas and breakfast so smart. Thanks for sharing. 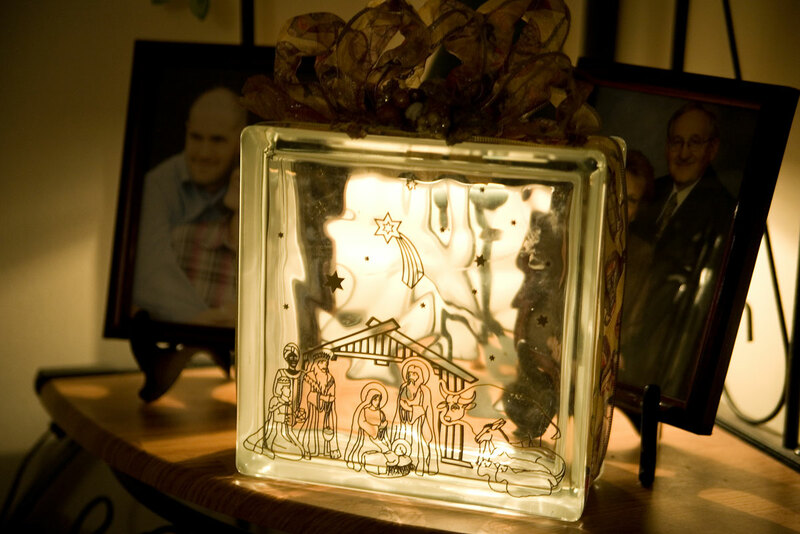 I just learned how to make those nativity Glass blocks last Thursday! YAY!And I STILL have my “believe” block you made for that RS party. I LOVE it! 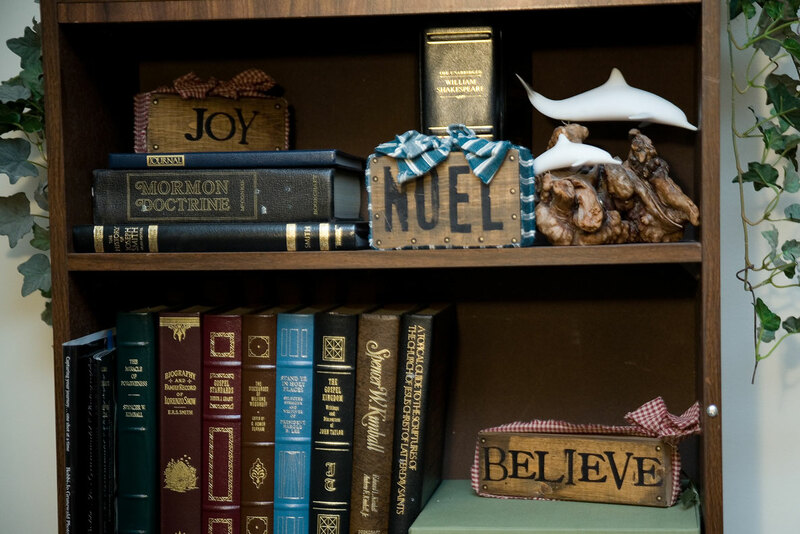 It goes great with my decor downstairs….it’s all wood, tin and country. Thanks! Everything looks so beautiful!!! And no we haven’t started any traditions yet. Just doing some healing for the time being. Cute pancake idea! And love that you rescued the tree for a dime!! That’s just awesome! Everything looks great.